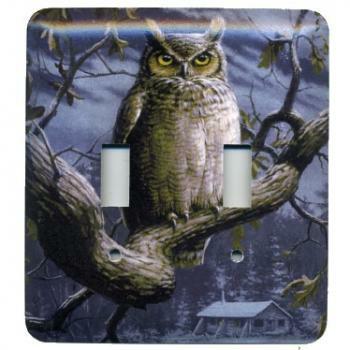 Full color wildlife scenes are featured on these rustic light switch covers. Wildlife artists Hautman Brothers have brought everything from deer and bear to loon and the always popular chickadee to life with there flair for wildlife art. Specialty designs such as loons, wolves, red fox and elk add an unexpected rustic look to your walls.